Interestingly, no one who gave testimony on HJM 15 was in support of a temporary revealing of Celilo Falls. There was however, a diversity of thoughts about how to view a request to the Army Corp of Engineers for more information on the impacts of lowering Lake Celilo. HJM 15 was conceived and written by its sponsor, Representative Ken Helm of District 34 – cosponsored by Representative Chris Gorseck of District 49. The Bill uses an idea which came up in the 1980’s and again at the bicentennial of the Lewis & Clark Expedition in which the US Army Corp of Engineers offered to temporarily lower Lake Celilo to reveal Celilo Falls. The bill requests that the Army Corp feasibility study be revisited to give the public information about whether this is possible and what concerns might arise. Representative Greg Smith – District 57 which includes the Dalles Dam gave the first testimony. Representative Smith laid out a long list of concerns that exist around any change in Lake Celilo and which would need to be addressed positively in the eventual restoration of Celilo Falls. Tribal members Lana Jack, Tabitha Whitefoot and Linda Meanus, all of whom themselves live, have lived or are descended from those who have lived at Celilo gave powerful testimony. There testimony should put to rest any ideas of a temporary revealing of the falls, which would repeat a still deeply traumatic inundation experience. Sean Cruz of Friends of Celilo Falls and Treothe Bullock of Celilo Falls Education Fund gave testimony. Both organizations advocated for a task force which would look at this and other information and result in a recommendation from the legislature in support of 2014-2024 renegotiation of the Columbia River Treaty to include “Ecological Services” and “Cultural Services” of the river beyond the current treaty. The current treaty focuses on power generation and flood control with minimal regard to ongoing ecological and cultural impacts which can be viewed as genocidal. Coverage of our presentation at PIELC 2015 – Our presentation was much more nuanced than a report like this is able to represent – and it is a sincere effort at representing some of the perspectives shared. 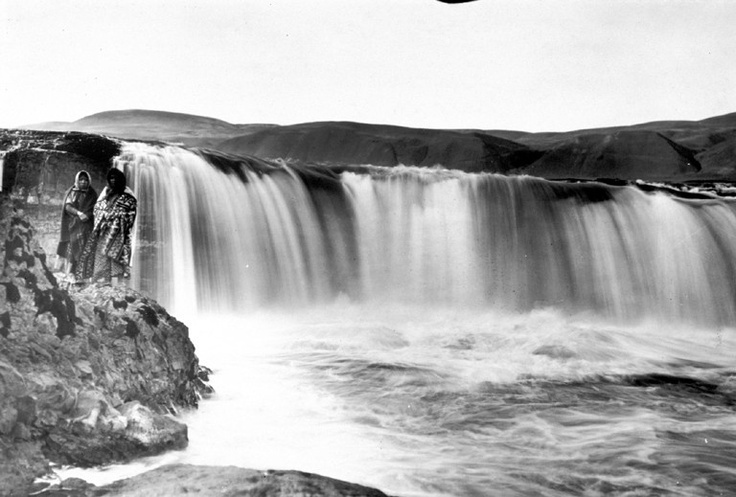 Celilo Falls is much more than the historically largest waterfall in North America. It is a heart of a disrupted but present Ancient Tribal Fishery – which honors and defends the integrity of human relationships with salmon, water and all the lands and seas that they connect. It is a place which represents a trust between those who have come before and those who are yet unborn. It will be a good day when we realize the dreaming of the return of Wyam! Celilo Falls, Community Rights Explored At Pielc | eugeneweekly.com. Panel Description: For at least 14,000 years, Celilo Falls and Celilo Village have been places where nature and culture come together in indigenous legal orders to direct sustainable fisheries management throughout the Columbia Basin. 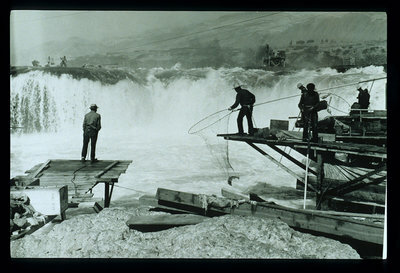 This panel will explore how restoration of Celilo Falls might provide a generational opportunity to revitalize the salmon-based ecologies, economies, and cultures of the Pacific Northwest. This panel will also consider how restoring Celilo Falls can serve to reinvigorate treaty law, common law, community rights, and the rights of autopoietic nature throughout North America. Foster interdisciplinary studies of economic, ecological, social and legal opportunities to realize this vision of a free NChi’Wana.